Just beyond the Nevada border in northern California, you will find one of the most transformative spectacles in the country in Lake Tahoe. The area’s unparalleled natural beauty, unique spectacles, and endless opportunities for recreation have made it a traveler’s favorite for decades. While you can find excitement for the bravest thrill seekers, Lake Tahoe has become famous as a place of unwavering relaxation. Here are five Lake Tahoe activities that offer relaxation as you will find nowhere else. Visiting the Sierra Hot Springs is an amazing way to spend some time around Lake Tahoe regardless of the season, but it is especially amazing during the winter. It is during this time when the warm waters shield you from the chill of the snow and air. There is nothing that parallels the beauty of the Sierra Nevada Mountains under a blanket of fresh snow. This is even more true when you get to take a dip while you are immersed in it. There is so much to see at Lake Tahoe. Cool blue waters transport you to your favorite tropical destination, while the lush forest and mountains capes are some of the most awe inspiring in the country. Enjoying this beauty from the ground is a true pleasure, but it does not even compare to taking it in from thousands of feet up on a relaxing hot air balloon ride. This is an experience that you will never forget. Lake Tahoe has become an extremely popular place for visitors from all over the world and as a result, it has become slightly harder to find activities that someone is not profiting from. That is why fishing on Lake Tahoe is such a great way to get out there and experience it on your own. All you need to do is have a fishing license and find a beautiful place on the shore. Sailing is an incredibly relaxing activity, regardless of where you do it. But a sailing trip on the tranquil waters of Lake Tahoe offers the very best that this recreation has to offer. Gliding along the fresh blue waters of lake while taking in some of the most potent natural beauty in the world is something that will change your perspective regarding what it is to truly relax. On the Southeast side of the lake, you will find this two-and-a-half-mile ascent up one of the area’s massive mountains. The entire time you glide up the mountain, you can enjoy some of the most amazing panoramic views of the lake and surrounding wilderness. A more relaxing trip could not be imagined. And once it is over, you can enjoy even more beauty at the top. A trip to Lake Tahoe can offer an endless amount of experiences. But the relaxation that the area and its activities offer is second to none. The next time you need a break from the hustle and bustle of your life, think of Lake Tahoe. 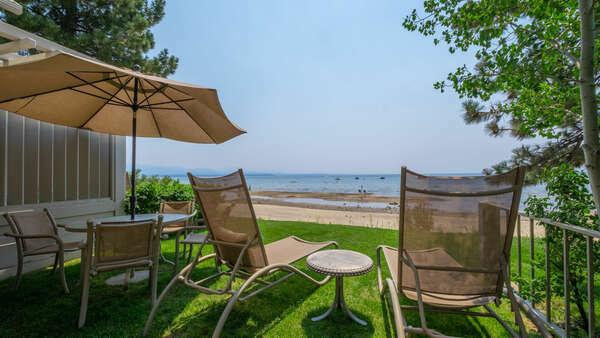 When looking for rentals in Lake Tahoe and Truckee, why not consider a Vacation Rental home or Condo? 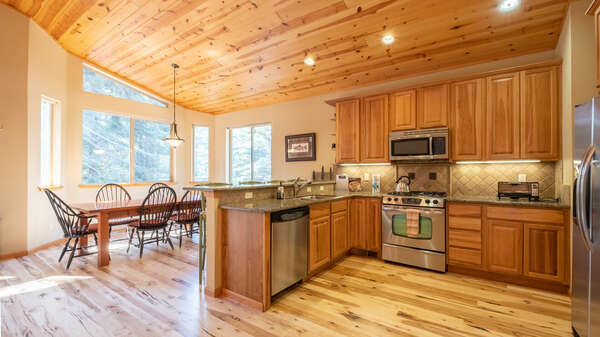 You certainly want to make the most of your trip to North Lake Tahoe&Truckee and choosing the best place to stay for your family is an important piece of the success of your trip. Hotels and Motels are expected to be crowded and offer limited amenities with little or no kitchen facilities. 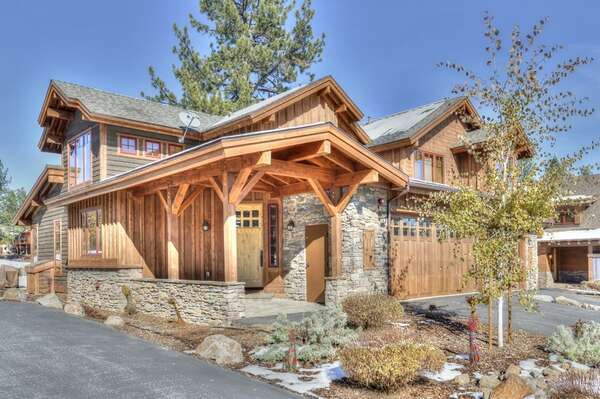 Rather than stay at a hotel in Lake Tahoe, why not stay in a Lake Tahoe Rental house or condo for your trip. Rental homes & condos offer more space, full kitchen amenities and all the comforts of home. To view the Best Rentals in Lake Tahoe, or to Rent a Cabin in Lake Tahoe, visit Tahoe Signature Properties’ website at www.TahoeSignatureProperties.com Or call Tahoe Signature Properties’ Vacation Rental Hotline at 530-562-4242.